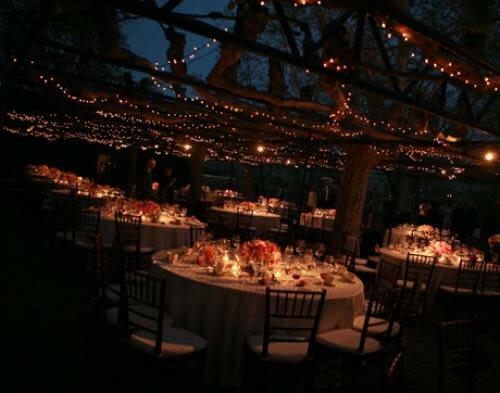 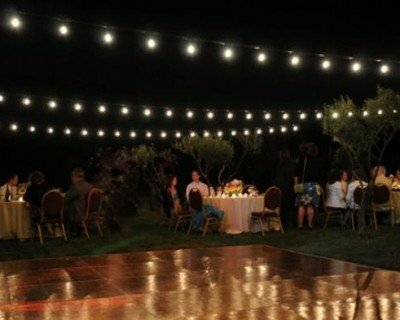 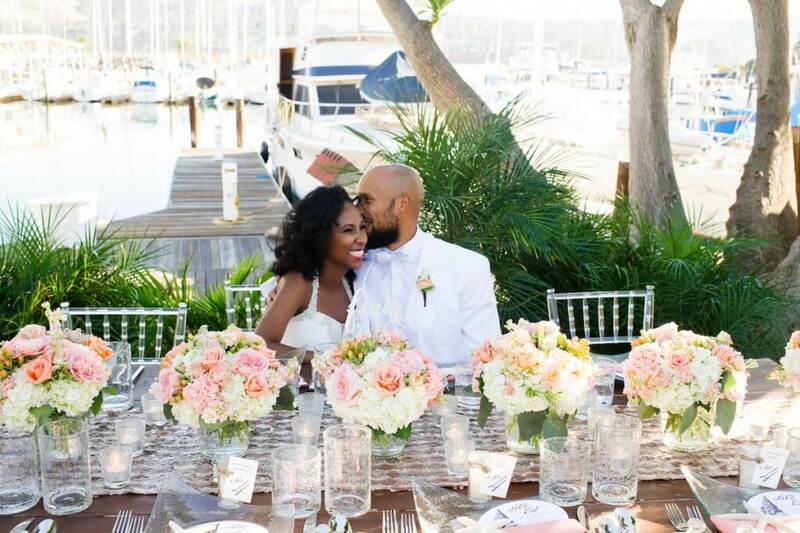 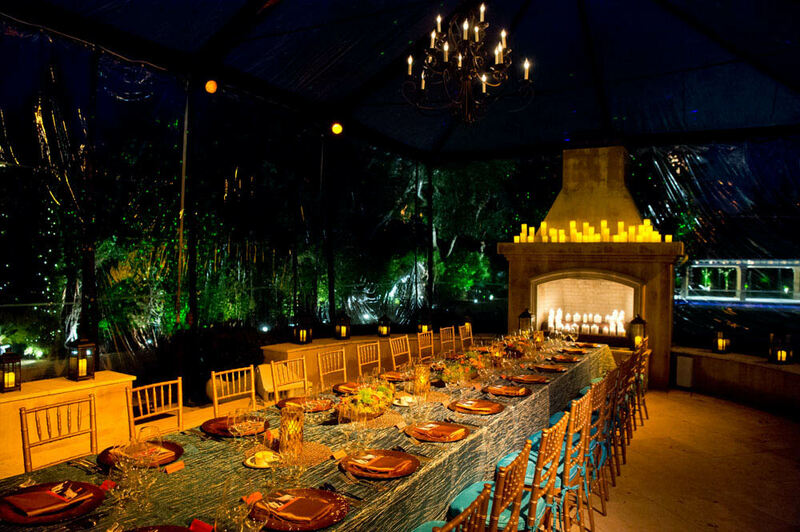 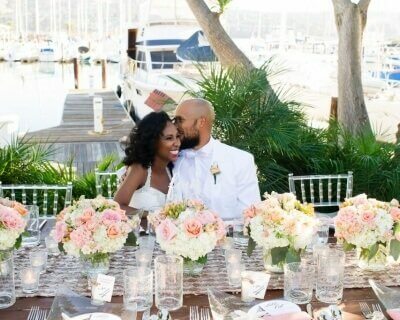 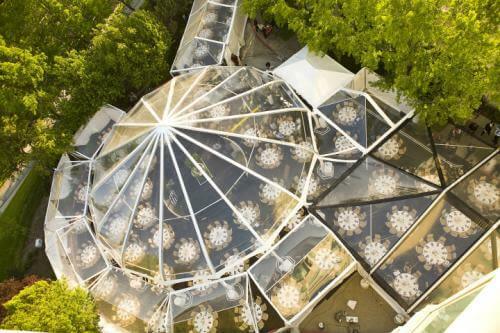 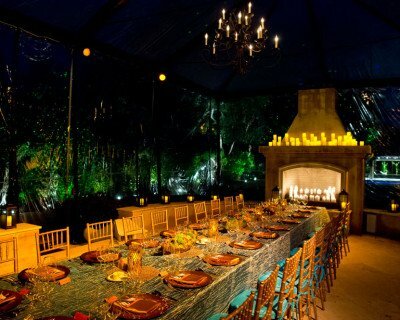 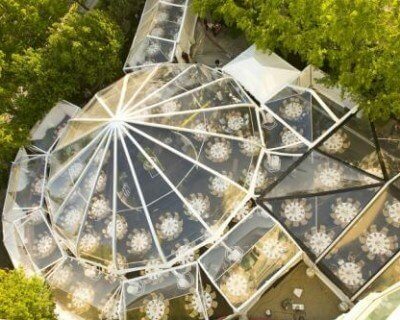 Rustic meets romance at this tented venue. 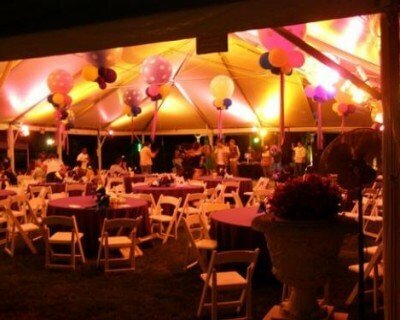 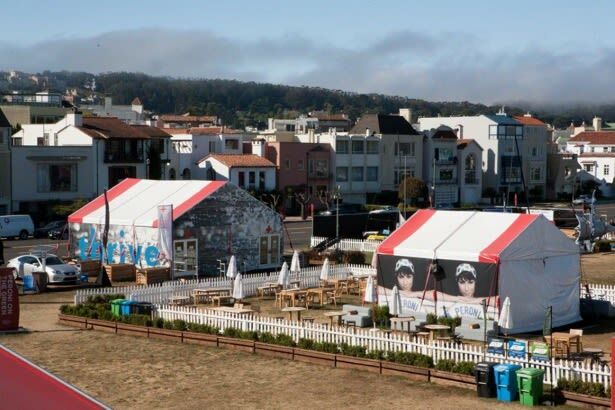 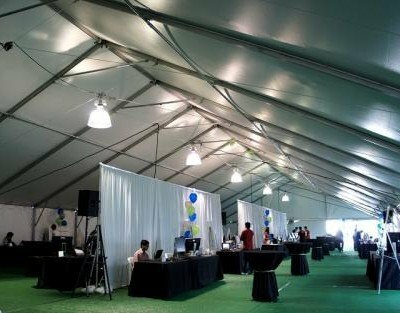 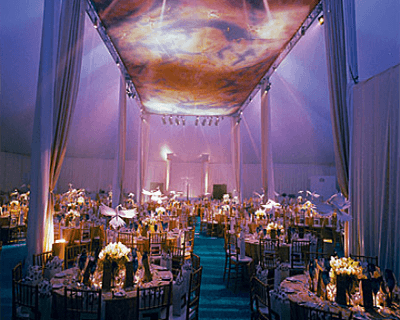 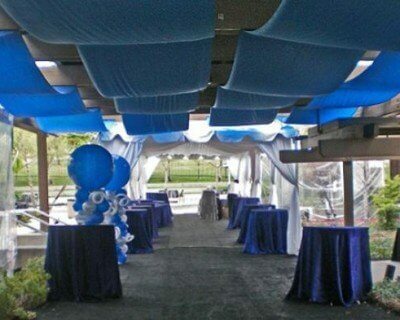 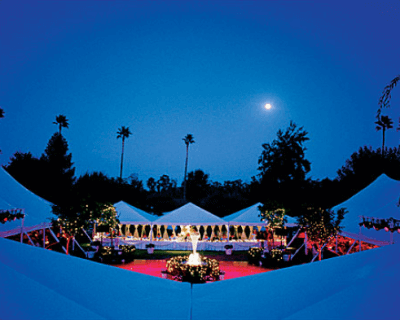 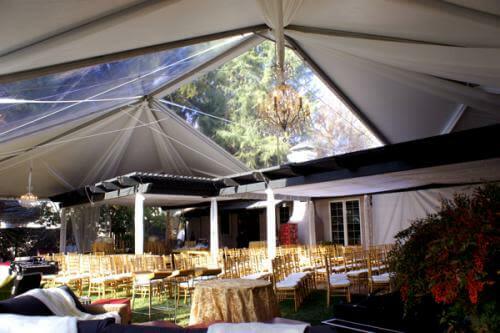 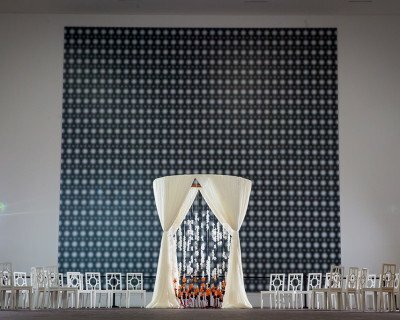 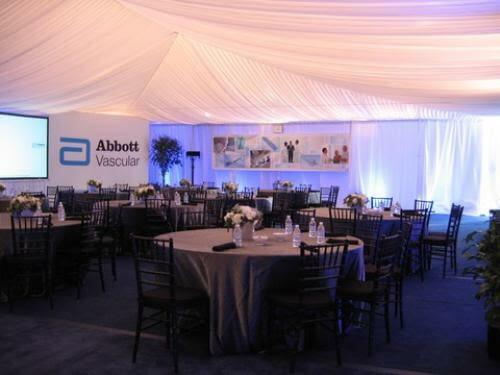 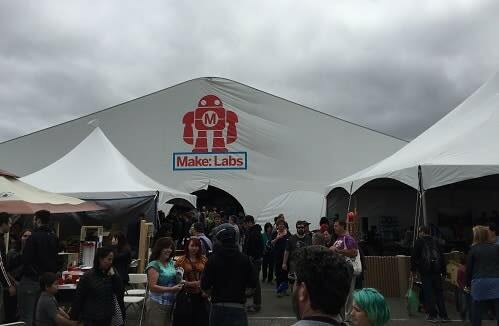 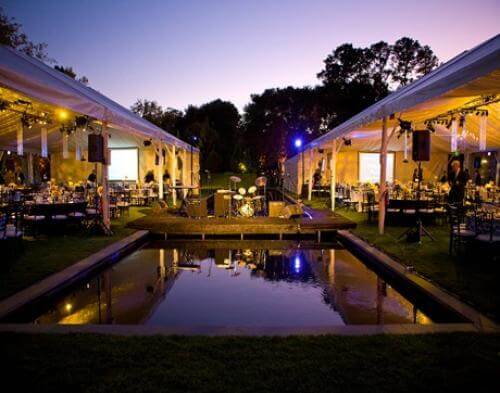 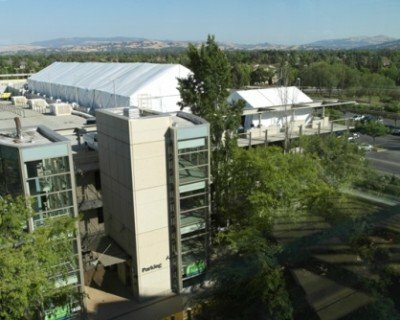 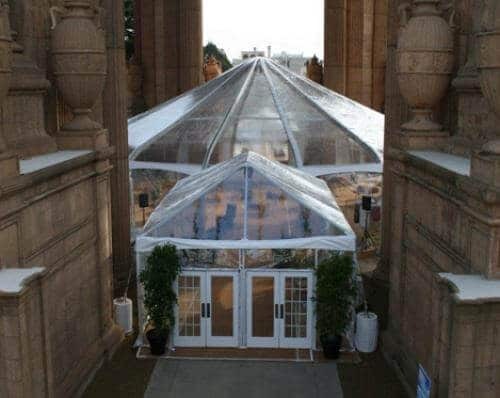 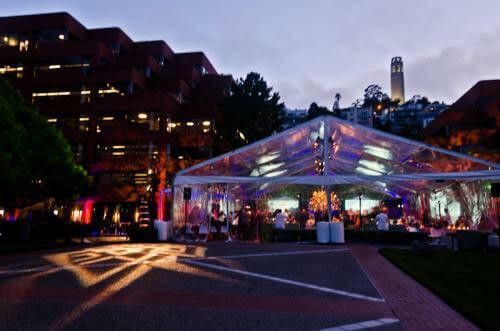 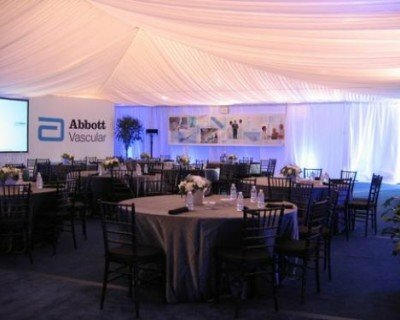 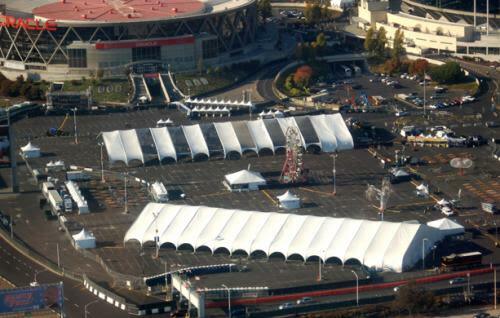 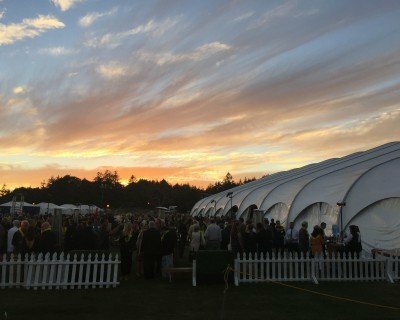 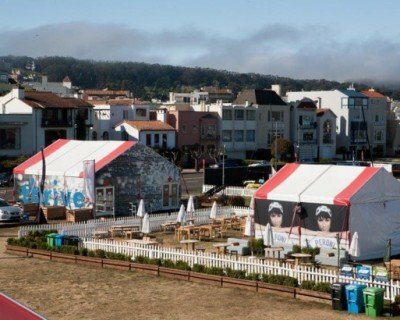 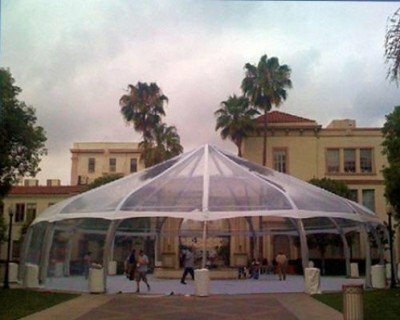 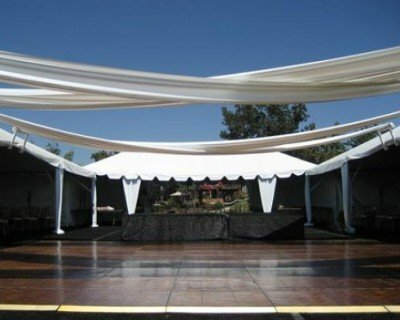 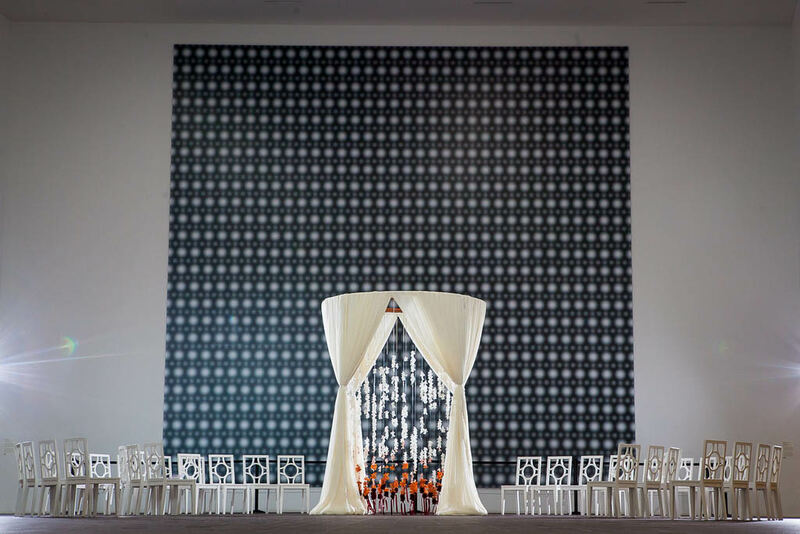 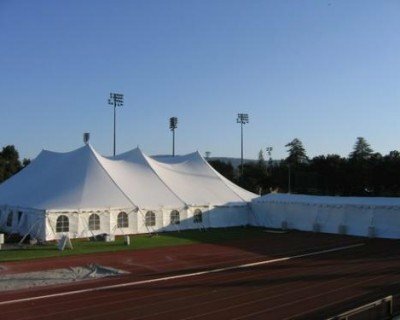 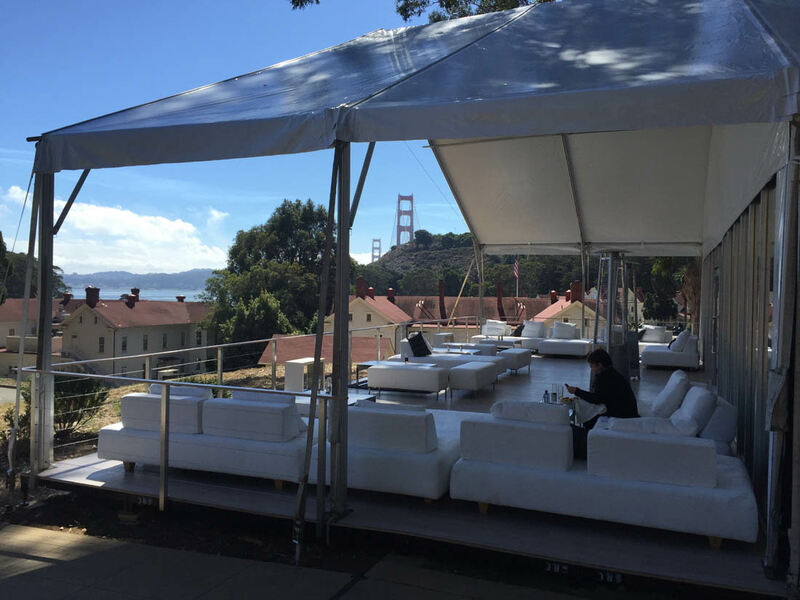 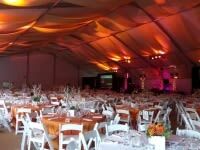 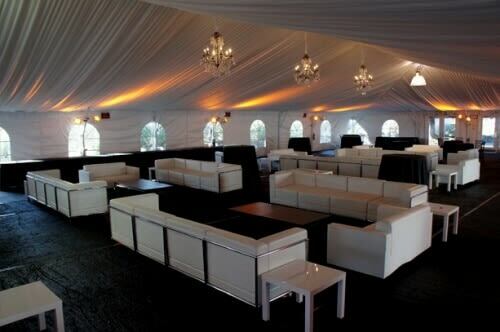 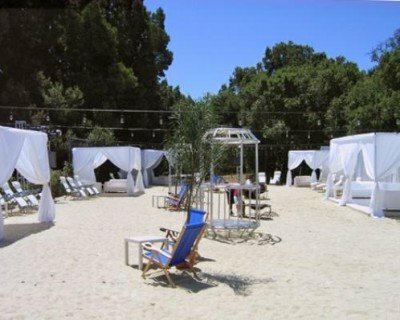 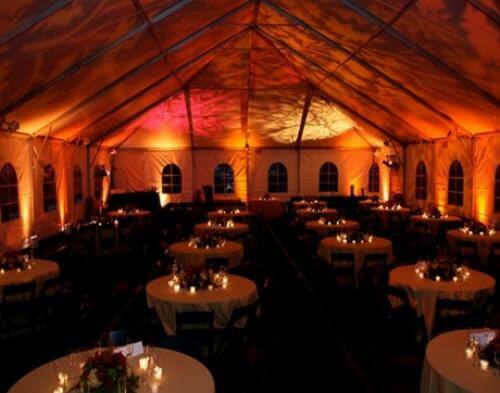 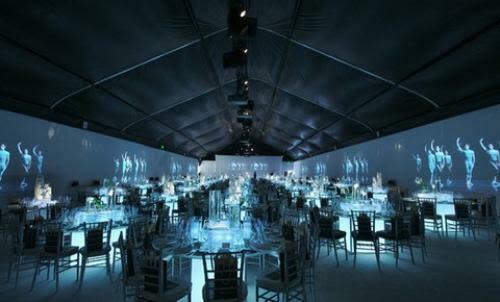 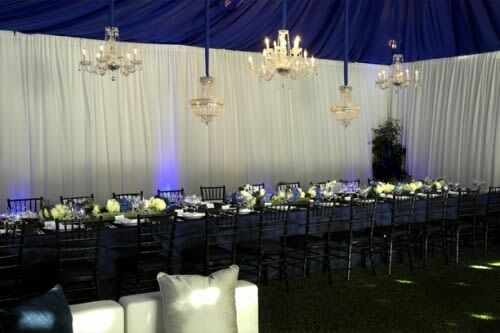 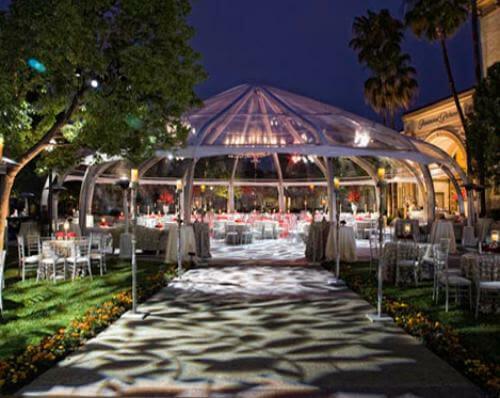 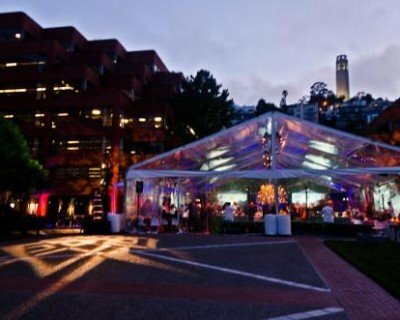 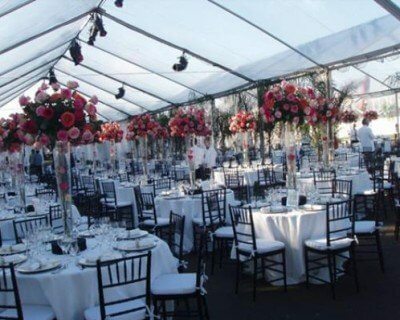 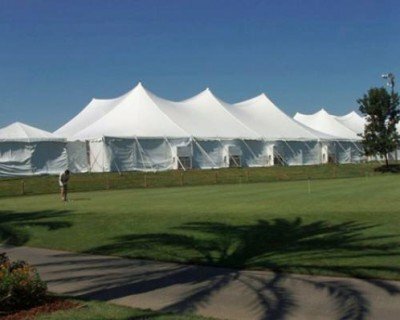 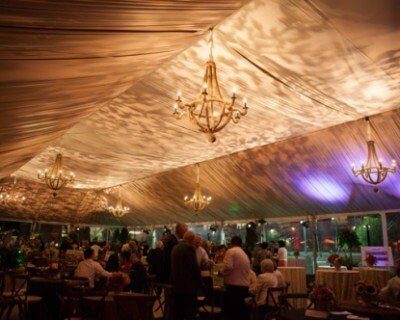 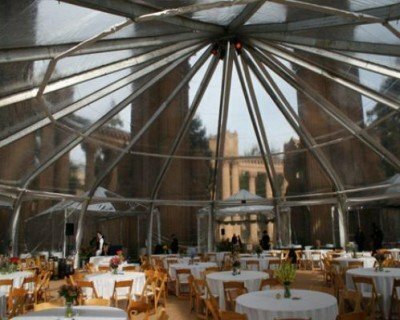 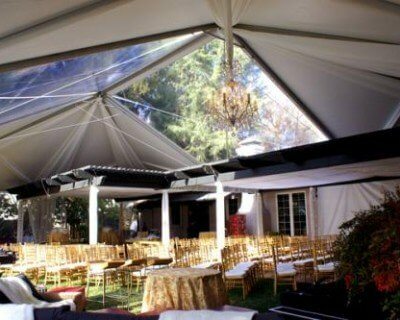 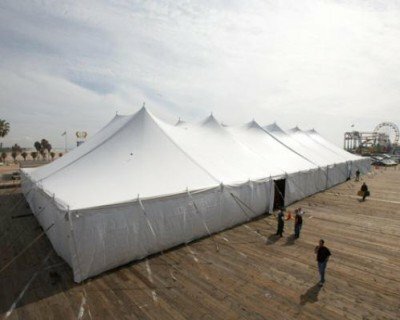 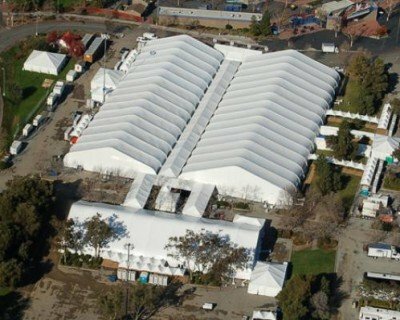 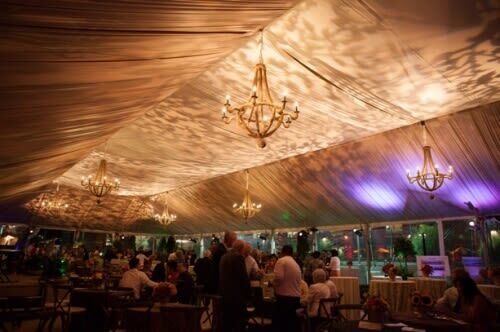 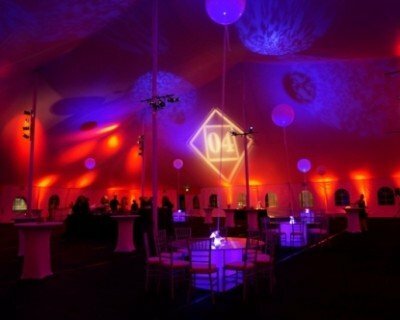 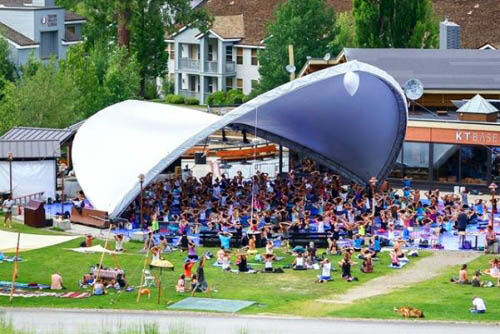 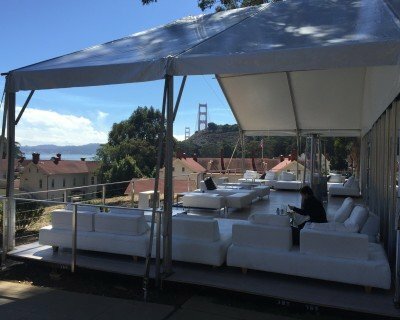 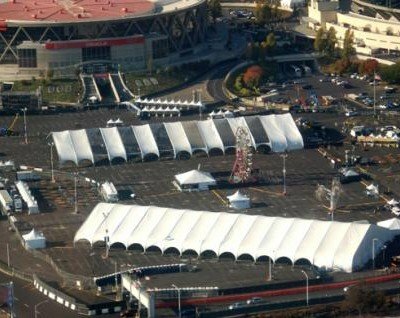 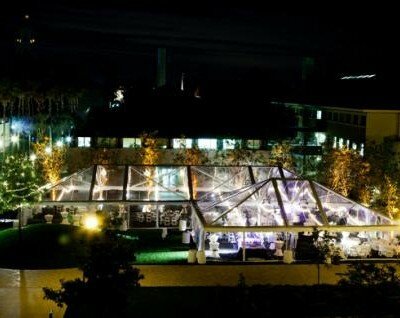 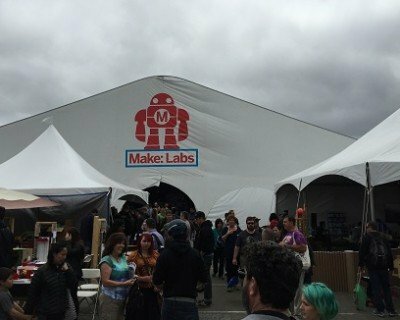 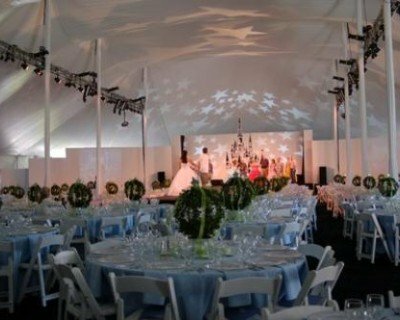 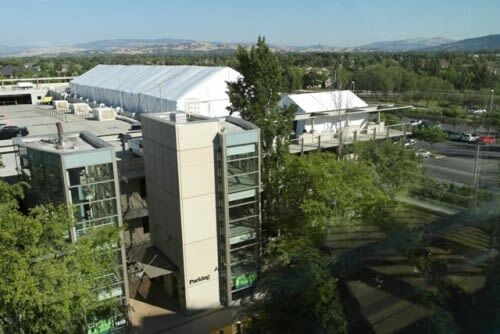 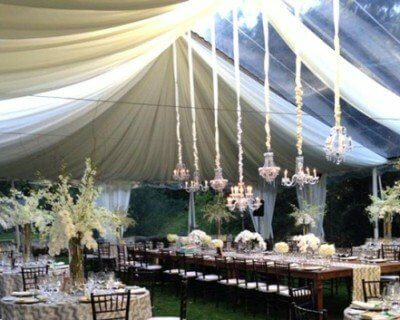 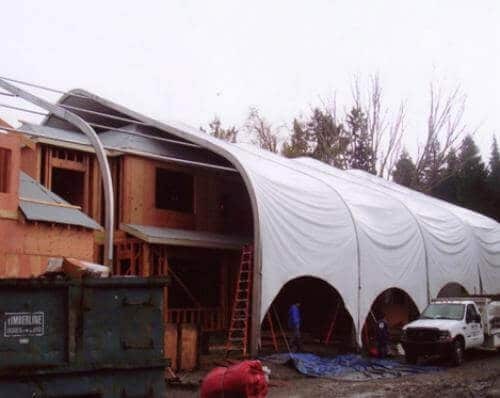 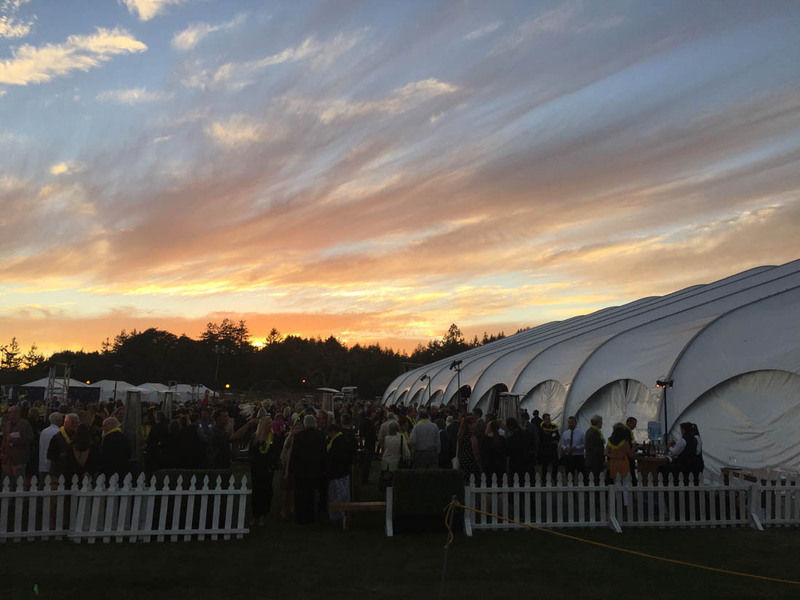 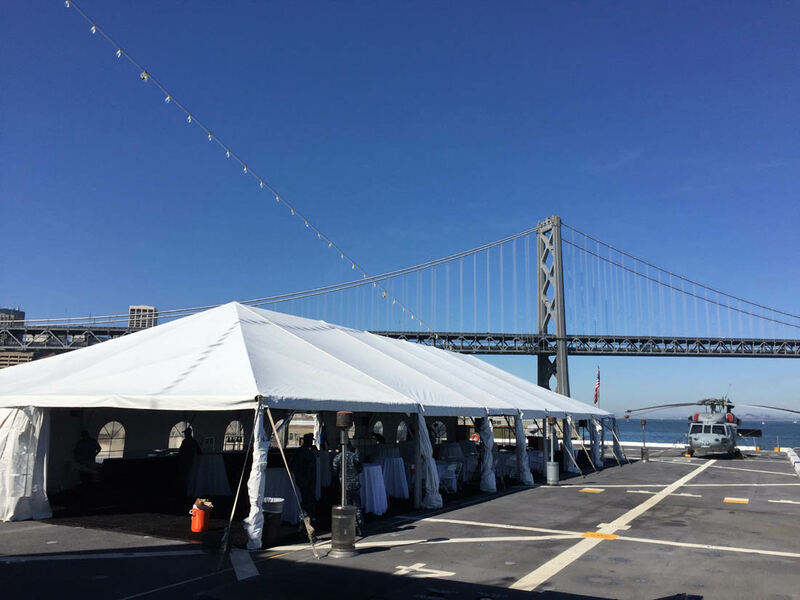 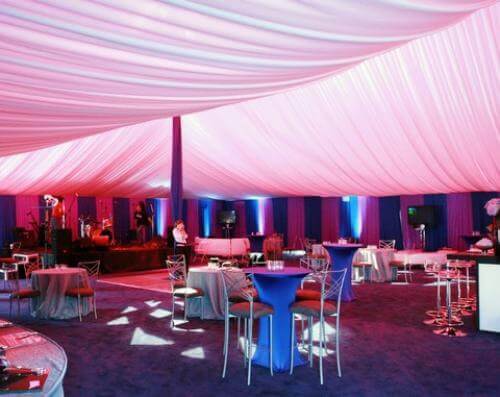 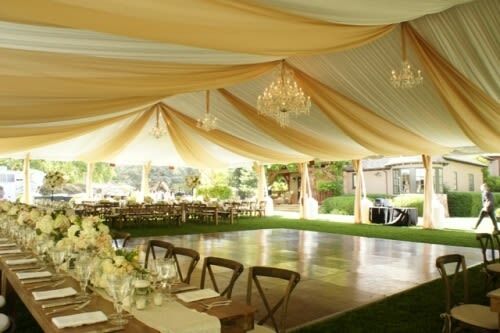 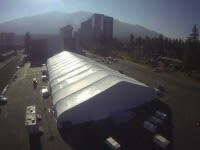 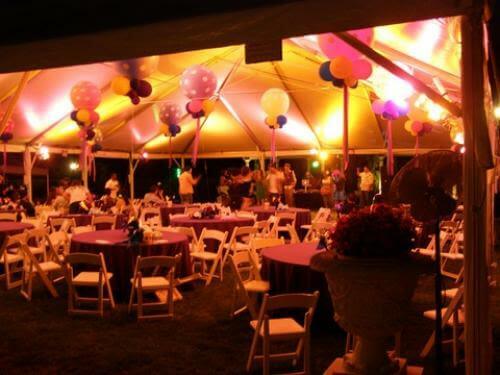 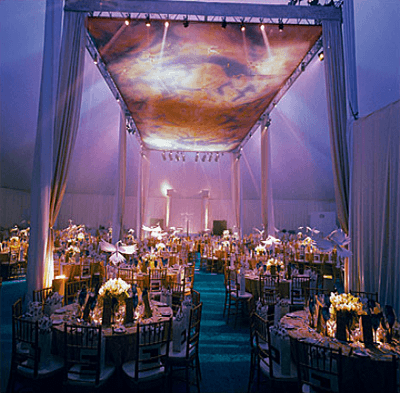 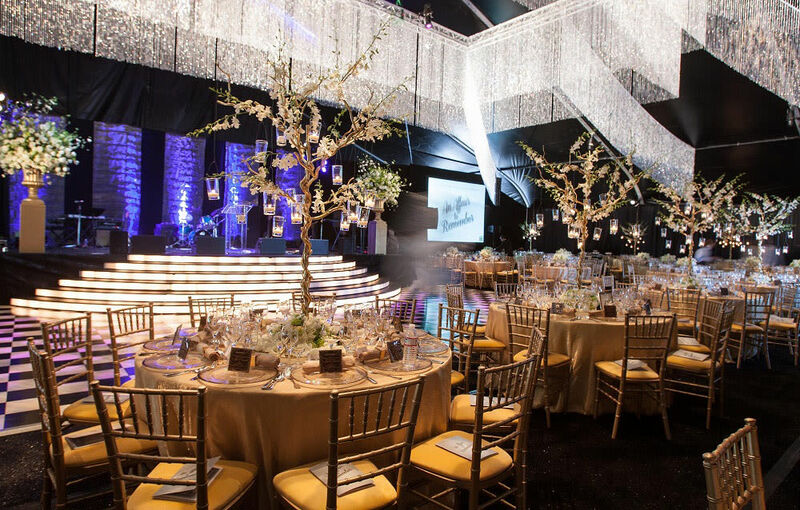 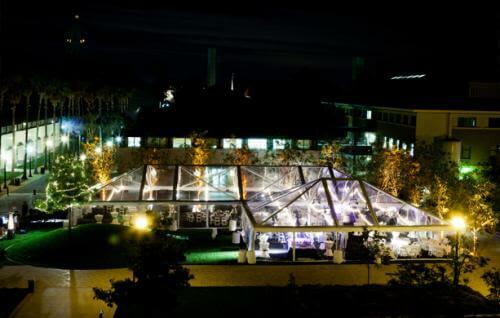 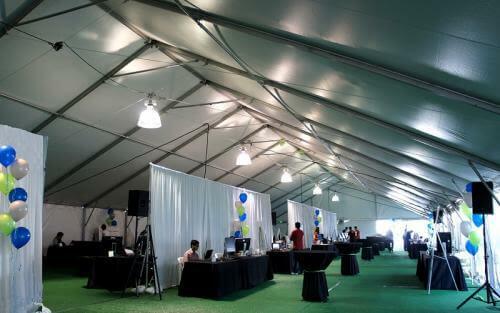 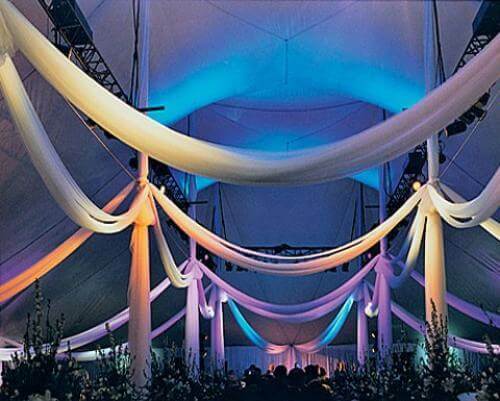 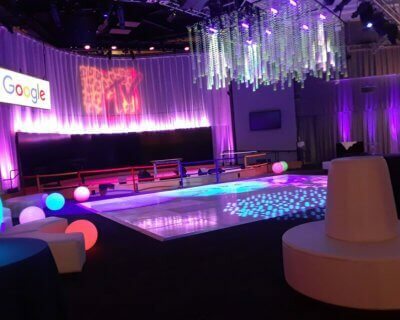 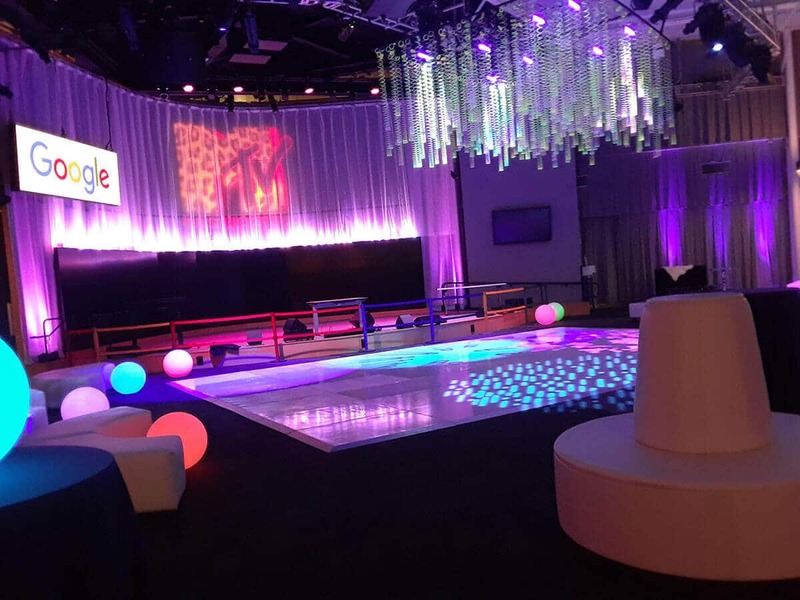 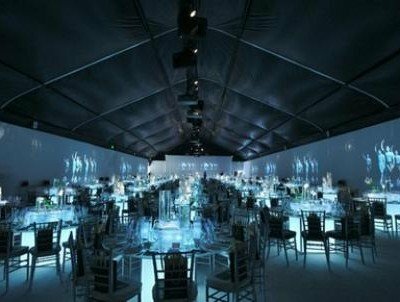 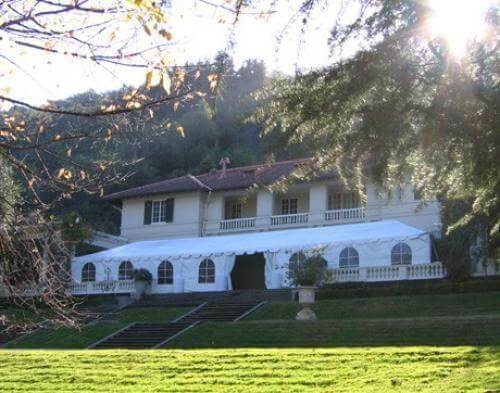 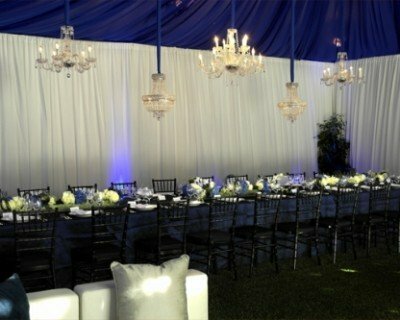 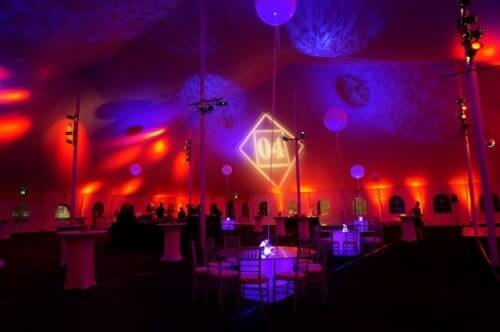 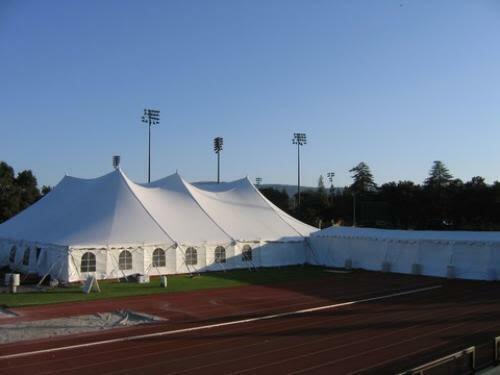 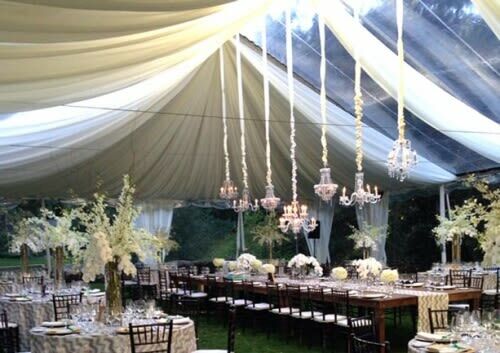 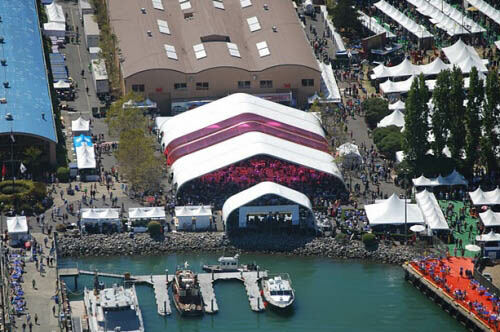 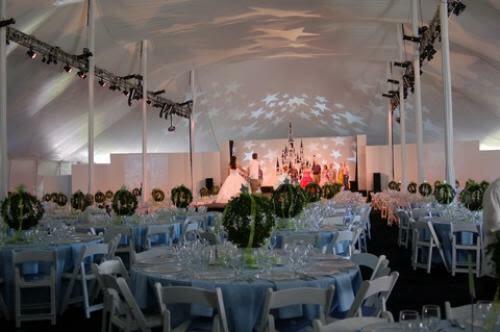 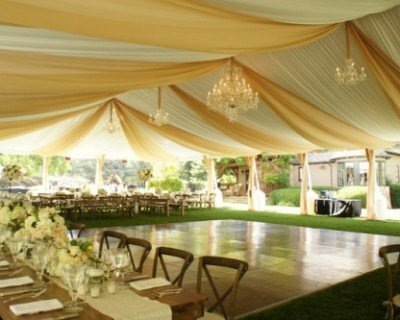 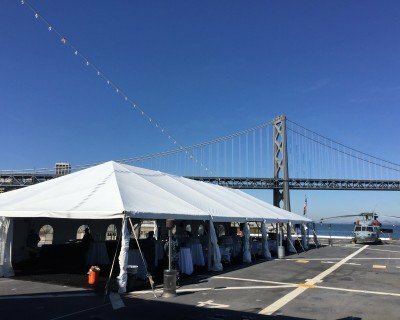 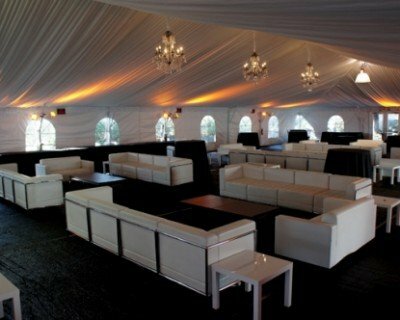 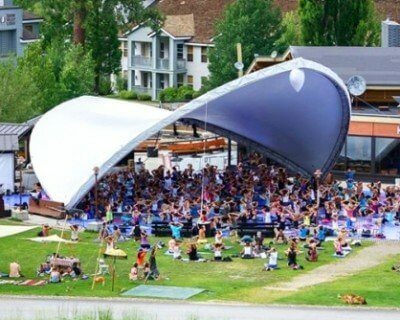 A 40×60 frame tent with solid white sidewalls is framed by 10’ high Premier White drapes along the sides. 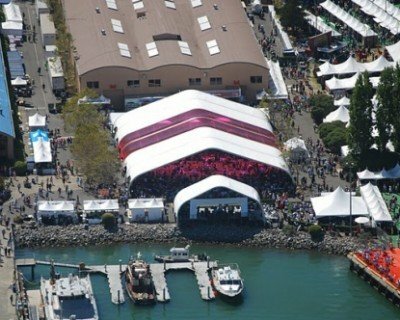 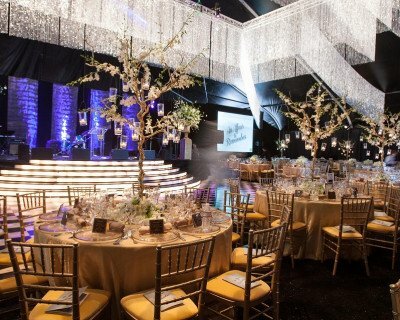 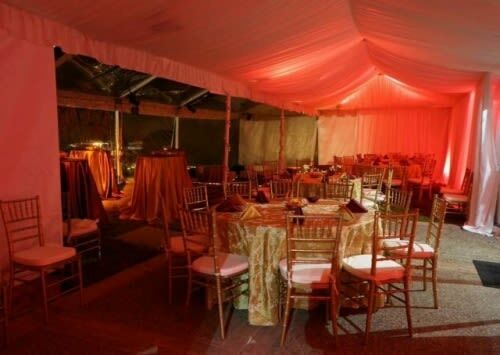 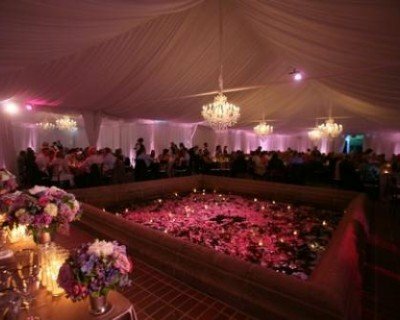 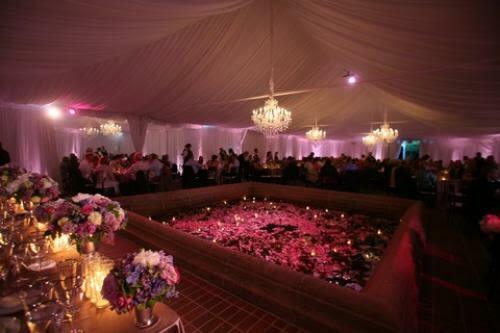 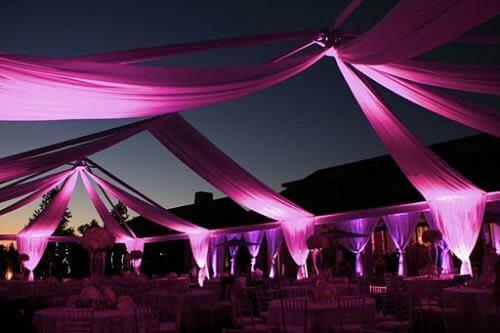 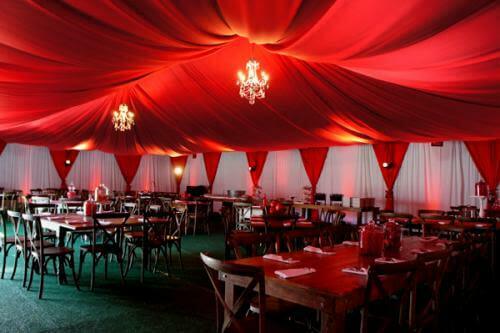 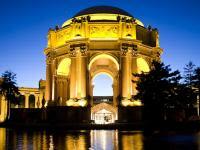 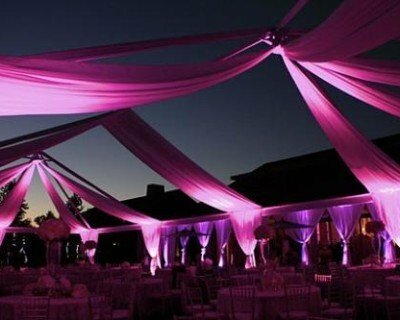 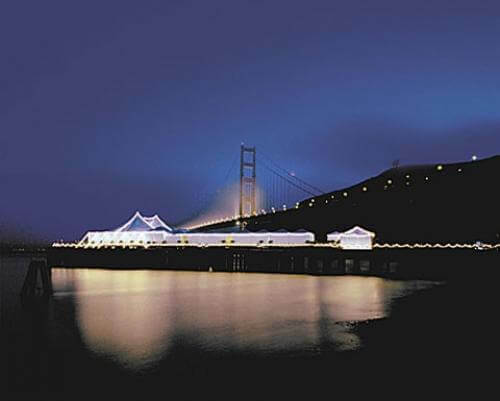 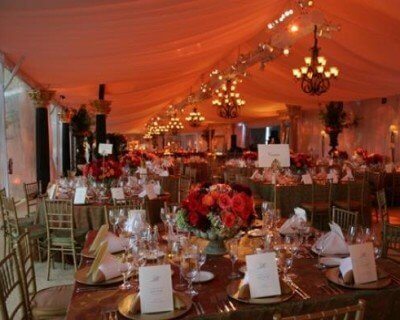 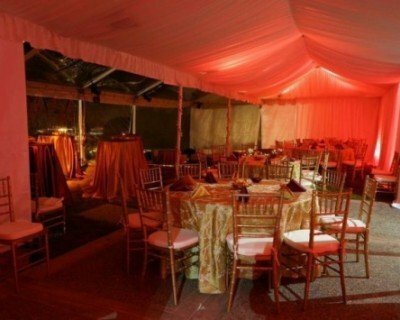 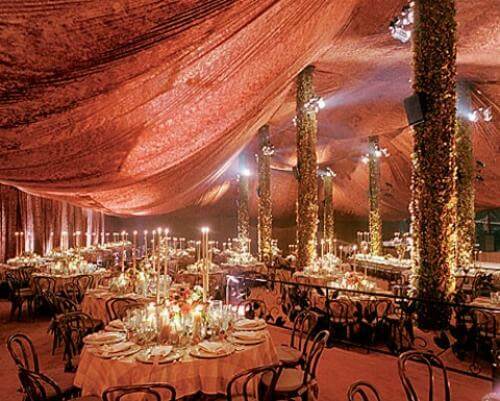 Dramatically sweeping the tent ceiling are deep red Lamour swagging accented with matching Y-drapes across the walls. 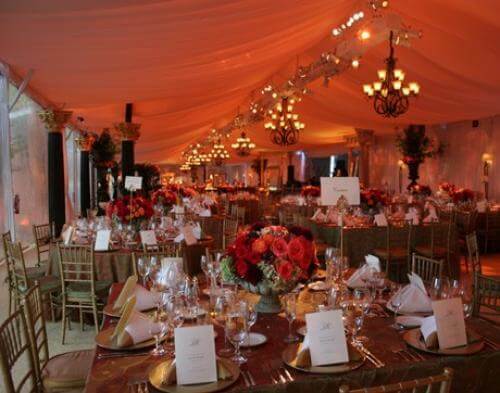 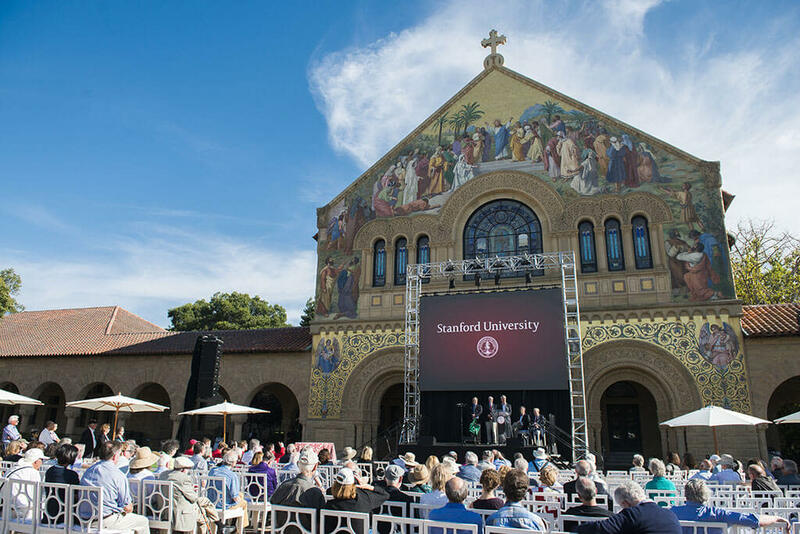 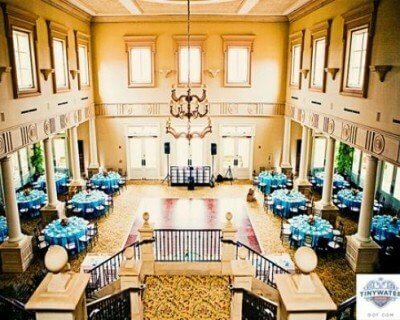 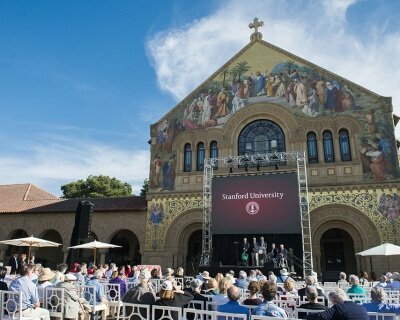 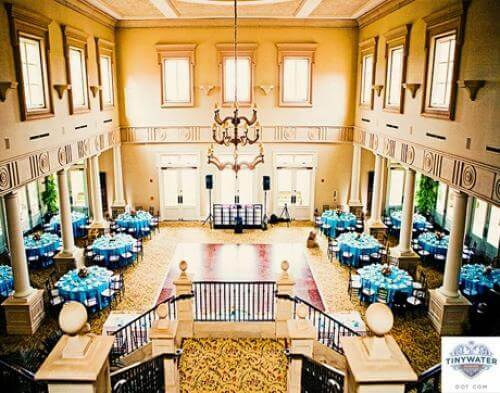 Black and crystal chandeliers and uplights illuminate the scarlet ceiling and green turf below. 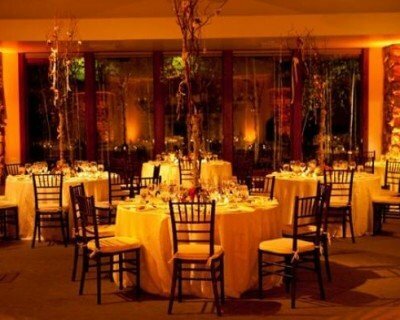 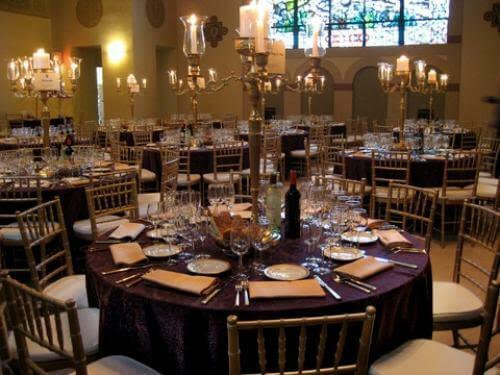 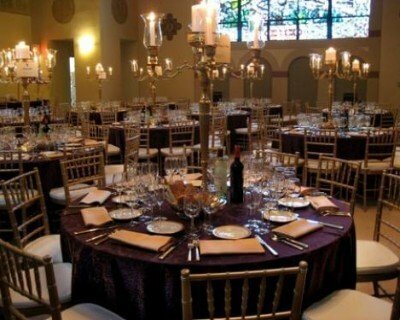 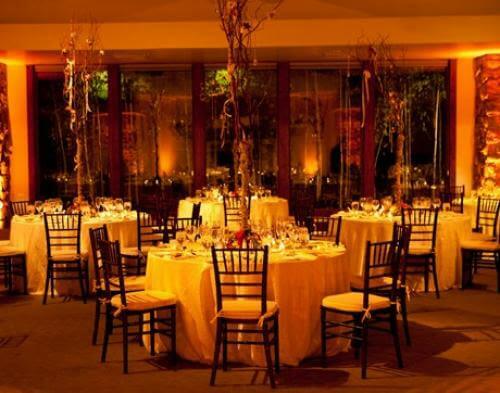 Elegant rustic tables of varying sizes are surrounded by hickory crossback chairs and topped with crisply folded duck white napkins.